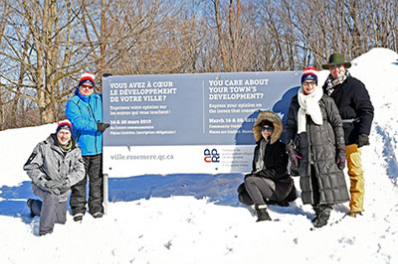 Public Consultations - Do You Care About Rosemère’s Development? Last September, the Town published the report following the public consultation on the development of the vision for the future: "Rosemère, a proud, green and prosperous town”. The first point that emerged from this report was that residents wanted an "urbanistic vision that respected Rosemère's rural identity focusing on protecting existing assets, innovation and sustainable development". "To make this vision a reality, we need your ideas and we need to take note of your questions or concerns on issues that affect you! We need you!" stressed Rosemère Mayor Eric Westram. The comments gathered during these public consultations will be taken into consideration and will guide Rosemère's future urbanistic vision. As space is limited, the Town is asking participants to confirm their attendance at https://consultations.eventbrite.ca.